How to upload a VOD via FTP with the new Back Office? We recommend using the PC/Mac uploader framed in blue in the picture above for most uploads. However, if your file is over 2GB in size or your Internet connection keeps dropping and needs a reliable FTP upload, you can use the DACAST FTP method. 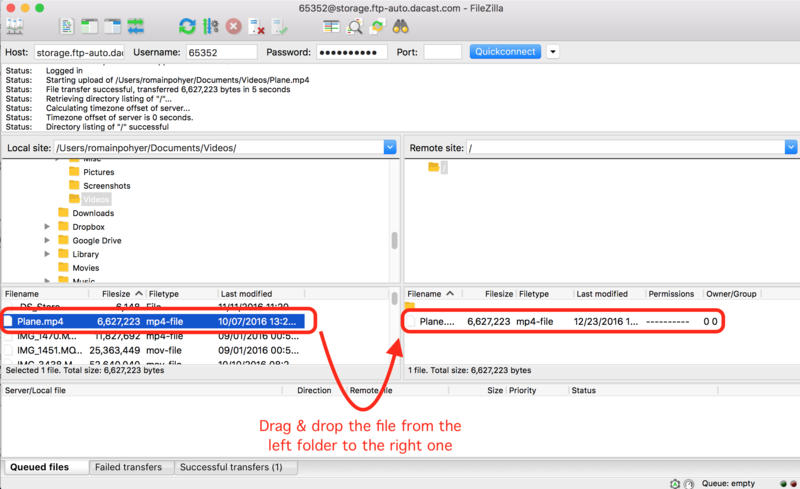 If you don’t already have a FTP client, you can download FileZilla (Open Source Software): http://filezilla-project.org/download.php. When you are ready, use the FTP client to connect to our server and move your files over. 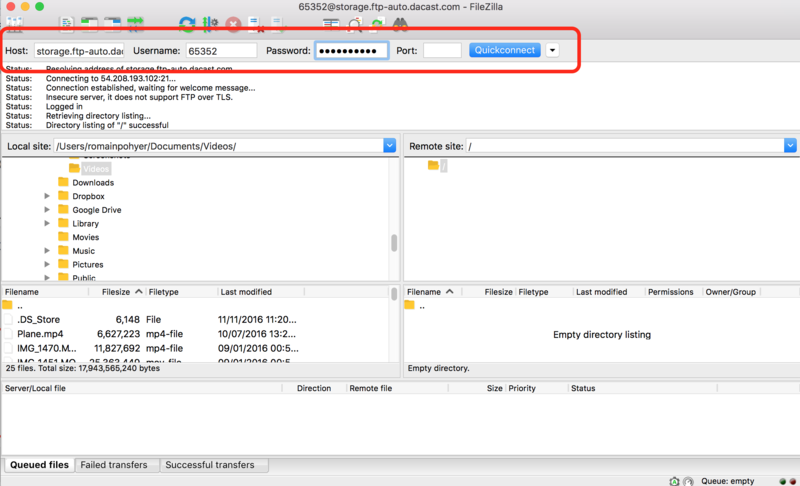 In this tutorial, we will be using FileZilla. Once open, you can enter the information from the previous step (Host & Username) and add your password account. Make sure your host is: storage.ftp-auto.dacast.com and not storage.ftp.dacast.com. Click on Quickconnect to fully connect to DaCast. 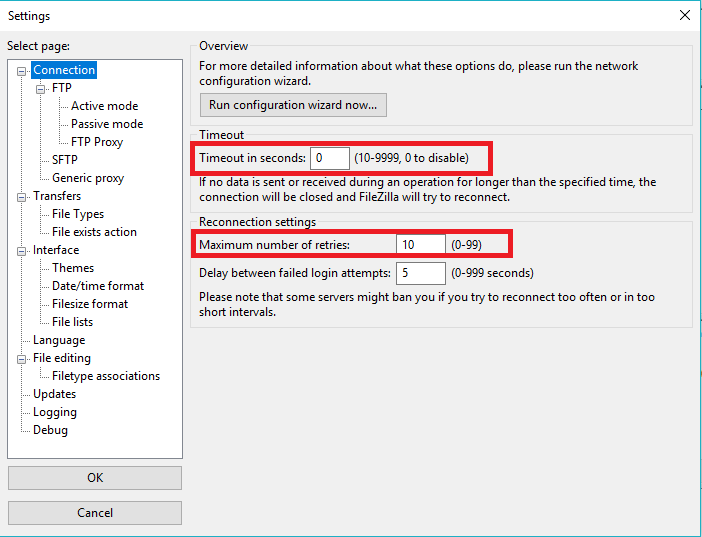 For big files, you may want to revisit the settings of your FTP Client to make sure you don’t have any timeout connection during your upload. If you want to organize your VODs in the new Back Office, you can also follow this walkthrough.